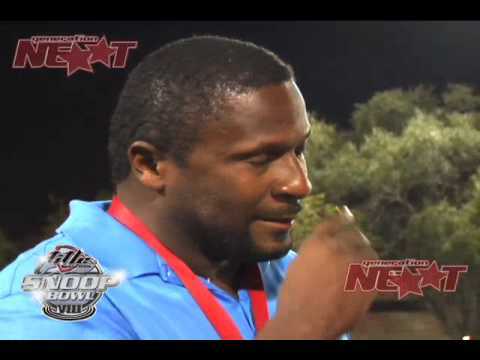 Bennie Blades from the University of Miami, played 10 seasons in the NFL. During his time with the Detroit Lions, his reputation around the league stood out as he was and remains considered one of the most athletic, intelligent, intense and physical defensive backs ever in the NFL. In college, Blades was the 1987 Jim Thorpe Award winner (Best College Defensive Back In America), a two-time First Team All-American, a National champion, a team captain and more. 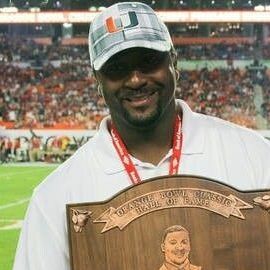 Since college, Blades has been elected to the College Football Hall of Fame, The University of Miami Sports Hall of Fame and The University of Miami Football Ring of Honor. With the third overall pick in the 1988 NFL Draft, The Detroit Lions selected Blades, who went on to earn NFL All-Rookie honors for the 1988 season. Known for his hard hits and aggressive play, Blades was selected to the Pro Bowl in 1991 in addition to receiving First-Team All-NFL and First-team All-NFC honors. He was the Lions’ Defensive MVP in 1992 and led the team with 132 tackles in 1996, which was one of three 100-tackle seasons he had for the Lions. The Lions selected the 1987 Jim Thorpe Award winner and All-American with the third overall pick in the 1988 NFL Draft and Blades went on to earn NFL All-Rookie honors for the 1988 season. Known for his hard hits and aggressive play, Blades was selected to the Pro Bowl in 1991 in addition to receiving First-Team All-NFL and First-team All-NFC honors. He was the Lions’ Defensive MVP in 1992 and led the team with 132 tackles in 1996, which was one of three 100-tackle seasons he had for the Lions. In college, Blades was the 1987 Jim Thorpe Award winner (Best College Defensive Back In America), a two time first team All-American, a National champion, a team captain and more. 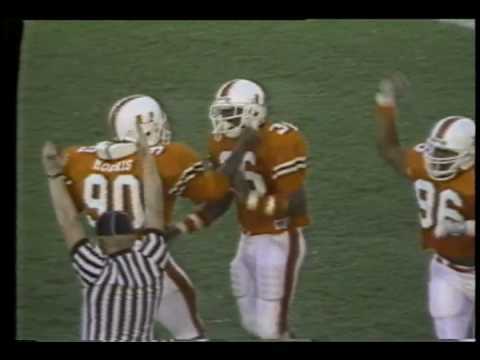 Since college, Blades has been elected to the College Football Hall of Fame, The University of Miami Sports Hall of Fame and The University of Miami Football Ring of Honor. Blades was a key component to a Lions’ defense that helped the team claim the 1991 NFC Central title and a berth in the NFC Championship game, along with three other playoff appearances in the 1990s. Perhaps one game that truly exemplified Bennie Blades as a “football warrior” was against the Packers at the old Milwaukee County Stadium November 6, 1994. Blades, who entered the game banged-up with sore ankles and a shoulder injury, actually played significant time filling in at a linebacker position. Blades was all over the field, recording a team-high 10 tackles, a sack and also recovered a fumble. The defensive captain’s 815 career tackles place him second on the Lions’ all-time list. Bennie Blades is available for speaking engagements, autograph signings, Super Bowl parties, golf tournaments, charity events, fundraisers, special events, appearances, product endorsements, corporate events and more.